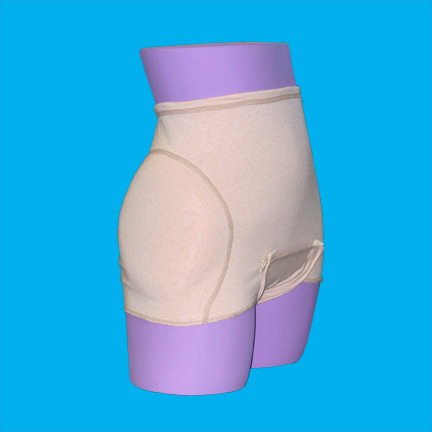 HipSaver QuickChange is a functional garment designed for people living within a long term or acute environment who are dependent on staff to change their incontinence briefs. The drop down crotch panel assists staff with quick changes of incontinence products. Sizing charts are guidelines only. Please consider issues such as edemas and contractures. HipSavers© can be washed and dried even in high temperature institutional laundries and CDC (Center for Disease Control) Laundry Guidelines. Lower washing and drying temperatures can prolong the life of the garment. Occasional use of bleach in low concentrations is acceptable for HipSavers. Click here to view the CDC Guidelines for Laundry in Health Care Facilities.